Extra strong and safe, the Keb Endurance 2 Tent is a four-season tunnel tent optimised for exposed conditions and challenging terrain. Full height in the entire inner tent and the large vestibule makes tent life comfortable, especially when bad weather keeps you inside. Perfect for advanced winter trekking and tenting above the treeline, but still light enough to fit into a trekking backpack. All materials and details are carefully selected for their reliability and manageability in cold conditions. For example, adjustments and zip pullers are big enough to be easily handled with winter gloves on, the guylines have a reflective thread woven in and are extra strong with double adjustments and the ground loops are big enough to be used with skis or poles when using the tent in the snow. The tent pegs are also extra long and wide for superior grip in difficult terrain. Reflectors at the vents and doors make it easy to find your way back to the tent in the dark. 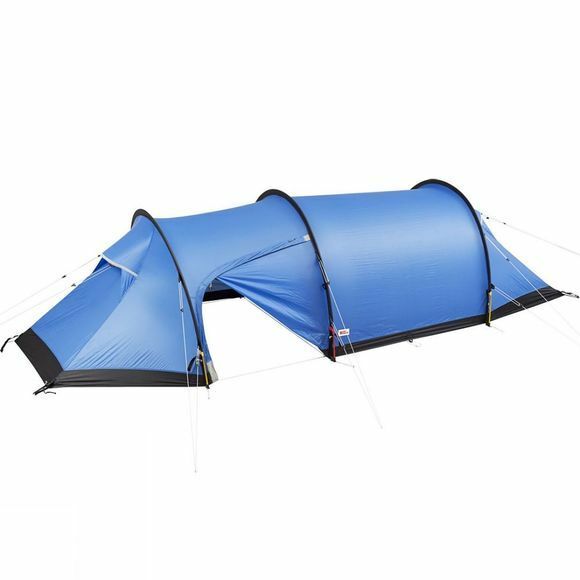 The flysheet and inner tent are connected so the inner tent is protected from getting wet when pitching in the rain. Pole sleeves are colour coded for easy handling and are big enough for double poles (available separately) so the tent can withstand even higher winds and more snow on the roof. 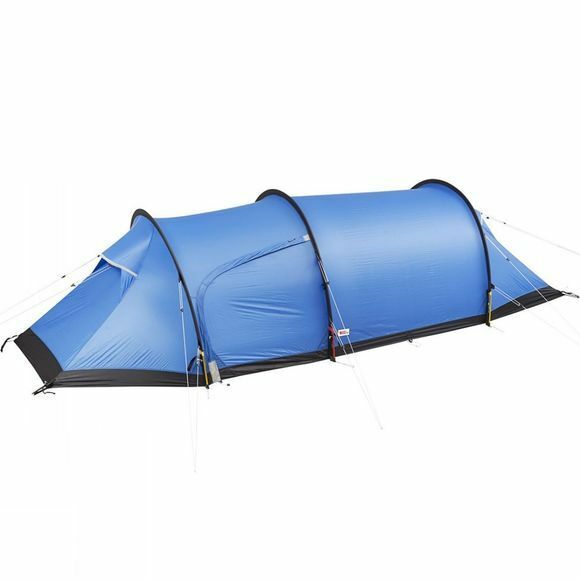 Inside, the tent is spacious with a generous sitting height. The extra large vestibule has plenty of room for storing gear, cooking and other activities. Two entrances make it easy to get in and out and also give the possibility of using the lee-side door in bad weather. Clothes lines in the vestibule and inner tent as well as several mesh pockets help keep gear organised.